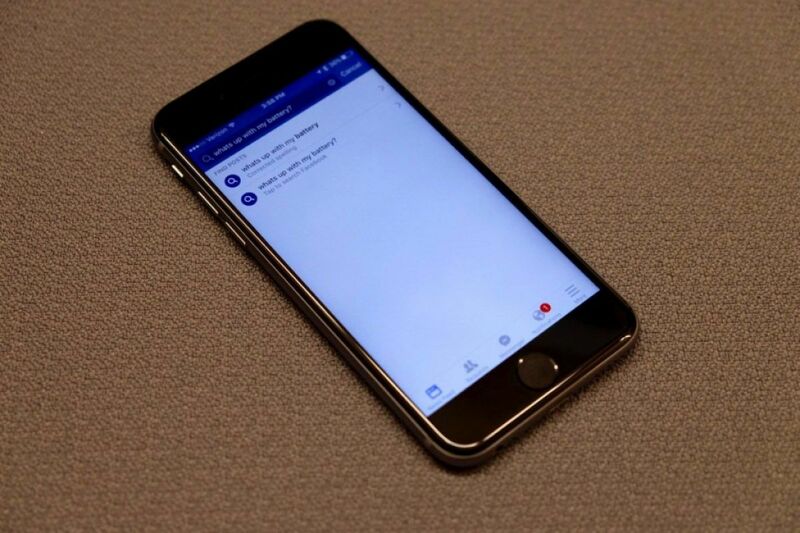 Facebook users on iOS have had a sneaking suspicion that the app was starting to misbehave, to the detriment of their phone’s battery life. After saying it was looking into the issue, Facebook has now confirmed the problem and pushed out an update to the iOS app to help offer some relief. Facebook engineering manager Ari Grant said as much in a post today on (where else) Facebook, saying that the company “found a few key issues and have identified additional improvements, some of which are in the version of the app that was released today.” While there’s more Facebook says it can do to lessen battery draing, updating the app today should provide some immediate relief. So far, Facebook has identified and fixed two issues. One was what Grant called a “CPU spin” that kept the app pushing out network queries without any response; Grant compared it to a child asking “are we there yet?” repeatedly in the car, something that doesn’t do any good in getting you closer to the destination. The other problem occured when users watched a video and then left the app: sometimes an “audio session” would stay open and use background processing power even though nothing was actually playing. Both of those issues have been corrected, and Grant was quick to point out that none of the issues Facebook identified were related to location services or the optional location history feature in the app. As for when more improvements might roll out, Facebook has kept to a pretty strict biweekly app update schedule, so hopefully things will get even better in a few more weeks.